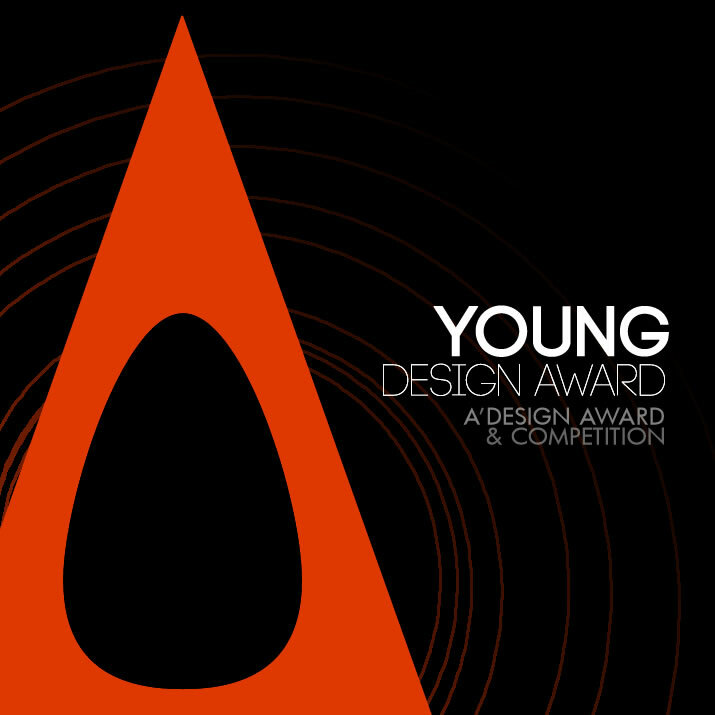 The A' Young Design Award Design Competition is a freestyle design competition open to both concept stage and realized projects designed by students, young architects, freelance designers, upcoming artists, design students, newly opened design studios and fresh graduates that are under thirty-five (35) years of age, worldwide. The A' Design Award for Young Design is not just an award, it is the indicator of quality and perfection in design, the award is recognized worldwide and takes the attention of design oriented companies, professionals and interest groups. Winning the A' Award is a certificate of excellence for designers, an important milestone in your career. Having the A' Award attracts the eyes of design oriented companies worldwide, winners will be able to find better and higher profile jobs, get a step ahead in their life. 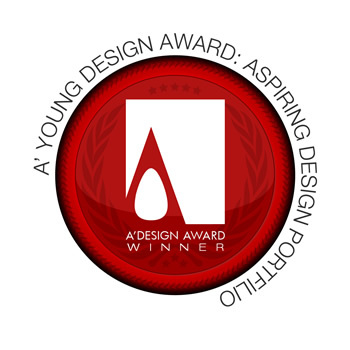 The winners of the Young Design Award are provided extensive and exclusive marketing and communication services to promote the success of winning the A' Award. Furthermore, the winning designs appear on the A' best designs book which is available worldwide, this book is furthermore distributed to the high-profile magazine editors, design oriented companies and relevant parties. The winning designs are also exhibited at our exhibition, and the best designs will be picked for the permanent exhibition. The winners appear on magazines, newspapers, webzines and many other publishing mediums. Young designers, students, architects, fresh graduates, young artists, who are under 35 years of age during application can join. In addition newly established design studios (less then 3 years) with average age of designers under 35 can join as a team. The Young Design Award, different from other design award categories do not consider a single design for judging. Your design portfolio will be evaluated as a whole. You must submit your porfolio, and your best 5 designs. You can send your existing designs or submit new designs. The portfolios of the participants are judged by our criteria that checks five key points: 1. Originality: Does your portfolio have a unique / individual design style with a distinctive personal vision and language in design i.e. are your works original and unique and different from the existing designs of other designers. 2. Consistency: Do you have a developed style of design that is commonly visible in most of your works. 3. Depthness: Are your designs well developed, do you make research before coming up with your designs, finding best practices, ergonomics details, material studies etc. when applies. (especially applies to industrial design portfolios) 4. Innovation: Do you find a new way to design, get inspired or be creative? Did you develop your own style (for example for artists) or technique? 5. Presentation: The way you present your designs and the overall composition of the portfolio. Furthermore, each of your designs will be evaluated by the jury based on the different category that they might be part of. It is not free to join, and it is not discounted either. However, by taking part in the Design Ambassador Program you can earn momination tickets to waive processing payment (you could join for free). The Design Ambassador program nomination tickets are good not only for the Young Design Award but also any A' Design Award Competition category. To learn more about the Design Ambassador Program click here. In addition you can earn free nomination tickets by taking part in Suggest A Talent program. Learn more about Suggest A Talent Program here. In addition here are many other ways to join the competition for free. Learn more about the winners' benefits here. To learn more about winners' services here. And check the contents of the winners pack here. In summary, your designs will be published, you will be given a lot of PR-Services, and you will be invited to our gala nights, your works / or portfolio will be exhibited in our exhibition and you will get chance for your designs to be produced and published. The Aim of the Young Design Award is to attract the attention of media and big-players to young talents by means of creating publicity and dissemination. We hope to create an initial push for the new talents by giving them a vehicle to celebrate their success. Awarded young designers, artists and artists will be supported and encouraged for their creativity, confidence and pursuit of excellence. Young designers will also have contact with academia and our ultimate aim is to bring realization opportunities to designs of young talents and to match them with the industry.